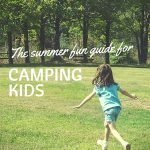 If you asked our kids what their favorite part about traveling is, they would not even hesitate before replying, “Camping and earning Junior Ranger badges!” We first discovered the National Park Service’s Junior Ranger program on our 2015 West trip when we visited Devil’s Tower, Yellowstone, Mount Rushmore, and the Badlands. 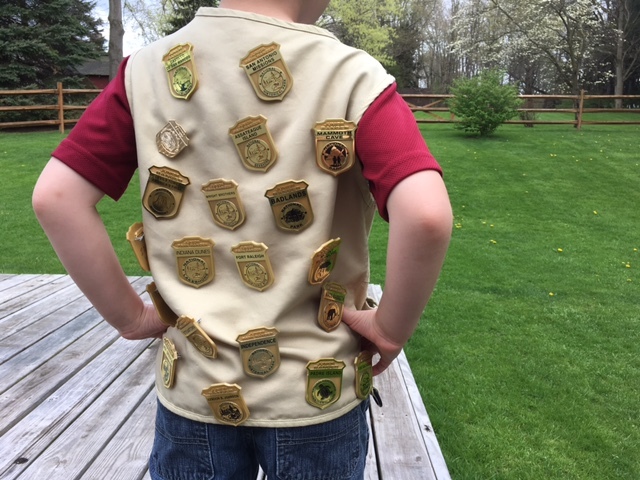 At each site the kiddos worked to earn their first badges, and from then on they were hooked. 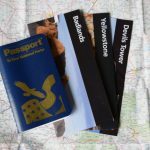 Since then they have gone on to complete a total of 25 badges–and they now request that we plan our trips around stops at national park sites. With more than 200 junior ranger programs across the country, that should keep us busy for awhile! WHAT IS THE JUNIOR RANGER PROGRAM? 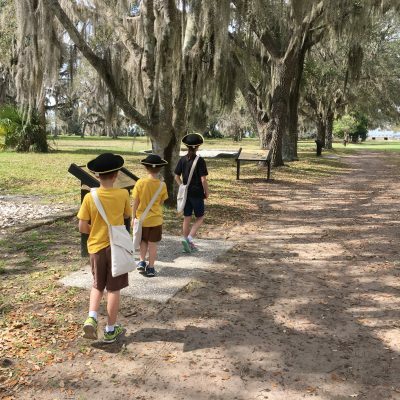 Every participating national site does its Junior Ranger program a little bit differently, but the focus of all of the programs is to promote education about the NPS site and instill conservation principles. 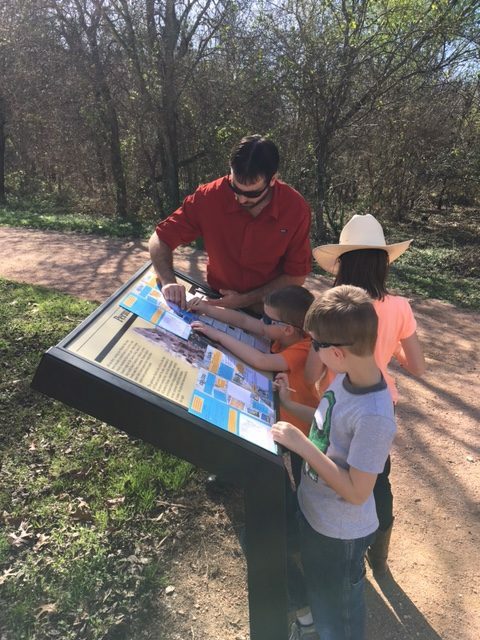 To earn the special park patch or badge, the children must work through a booklet with activities related to the NPS site. 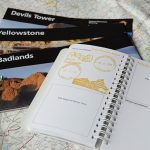 The Junior Ranger booklets are generally free, although a few locations such as Yellowstone charge a few dollars per booklet. The educational material in the Junior Ranger booklets is generally geared for 5-13 year olds, although people of all ages can participate. With help our youngest was able to work through the booklets when he was still 4. 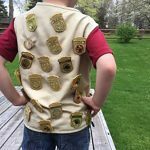 HOW DO THE KIDS EARN THE BADGE OR PATCH? Each booklet is comprised of a variety of written activities related to the NPS site. The child’s age will determine how many and what kind of activities need to be completed in order to earn the badge. Younger children will have fewer and simpler activities than older children. 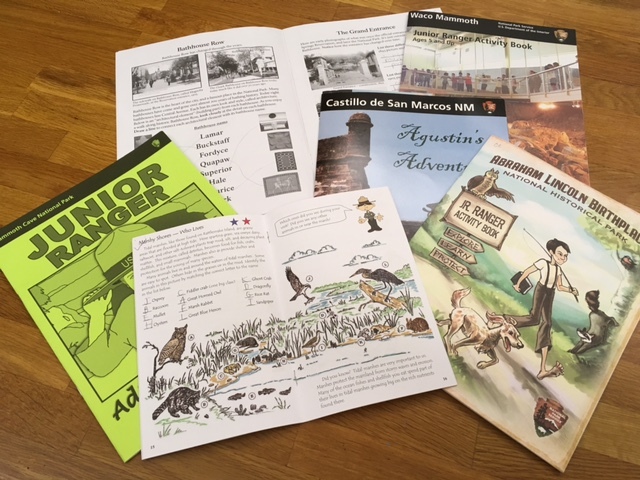 We find it is helpful to start our visit by first picking up the Junior Ranger booklets and then reviewing what activities the children must complete. From there we can decide how to tackle the booklets and make sure we allow enough time for any special assignments, such as watching the onsite movie or attending a ranger program. With the exception of the Yellowstone booklet, we have found that the Junior Ranger booklets can generally be completed in a day’s visit. On average it takes our kiddos around two hours to complete a Junior Ranger booklet. The Yellowstone booklet took much longer because it was very intensive–Jarrett is a science educator and he found it to be a bit too challenging for young kiddos. 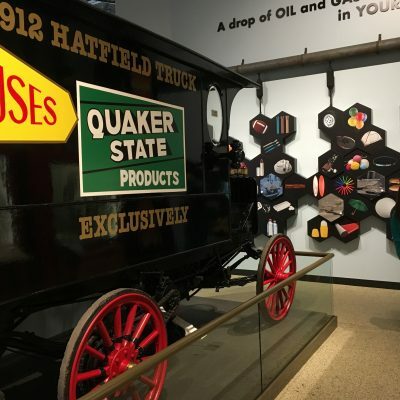 The written activities in the booklets generally tie into the site’s visitor center exhibits, so many of the answers can be found by simply exploring the displays and grounds. Booklets will often have word searches, fill-in-the-blanks, or matching activities. 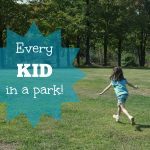 Some park sites require the children participate in a ranger program, interview a ranger, watch a park movie, go on a hike, or help with a mini conservation project like picking up litter. After the kiddos have completed their booklets, you next have to head to the visitor center desk to find a ranger to review their work. While reviewing the booklets, the rangers will generally ask the kids a few questions, such as what was their favorite part of their visit. 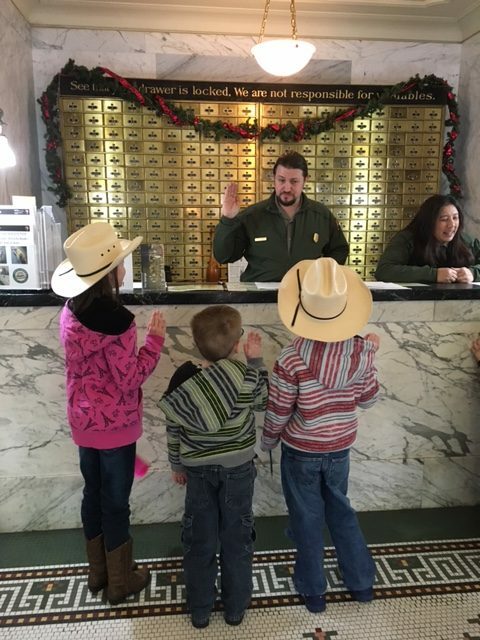 Most of the sites we have visited also have a fun little “swearing in” ritual in which the rangers lead the kids in a pledge promising to protect the parks and share about their experiences with others–and to eat their vegetables or keep their room clean. 🙂 Then the ranger officially dubs them Junior Rangers and hands them their new badges (or patches) and a certificate of completion. WILL MY KIDS REALLY WANT TO DO HOMEWORK ON VACATION? Since we homeschool, this program has provided a great way to incorporate learning while we are on the road. 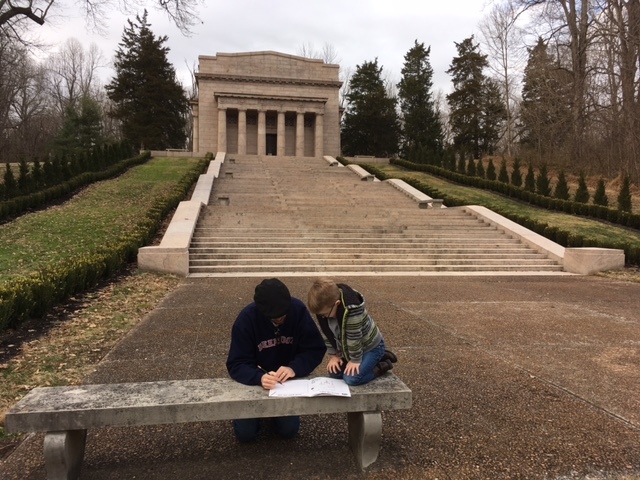 But even apart from the homeschooling, the program has helped our whole family enjoy our NPS visits more because it keeps the kiddos entertained for longer so we can enjoy more of the exhibits with fewer “Can we go yet?” comments. It also helps the kids digest information in ways that they can better understand. And anytime kids can make deeper, tangible connections with science and history, it’s a great benefit to their overall learning! Bring a pencil with eraser. Some park offices hand out pencils with erasers, but many of the parks only provide the little golf pencils. I try to carry a few of the mechanical pencils in my travel backpack so we are prepared either way. 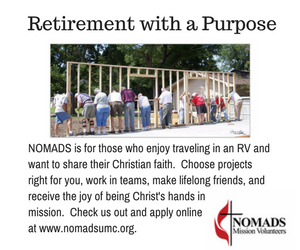 If your kids don’t finish the booklet before you have to leave the site, check with the ranger about whether you can mail the booklets in later. We’ve visited several sites where the rangers have offered our kids this option. I’M NOT NEAR A NPS SITE; CAN MY KIDS STILL PARTICIPATE? Yes! The National Park Service offers several booklets that parents can download and print at home for their children. After your children finish the booklet, you can mail it back (with your name and return address) to the address that is generally printed inside the booklet. 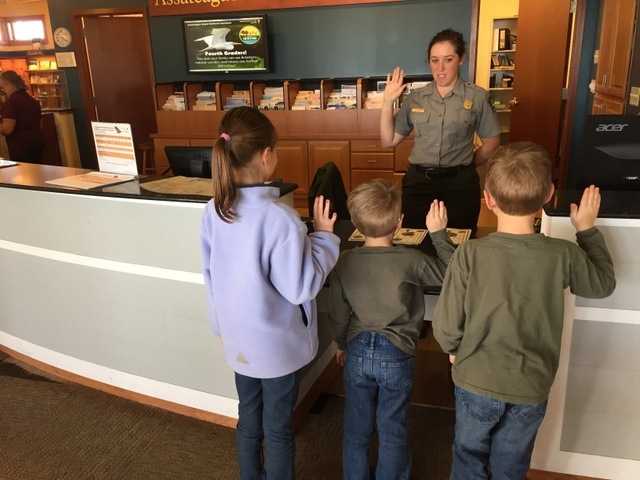 Have your children participated in the Junior Ranger program? If so, what was your favorite site to complete a badge?